Rosamunde Scott was born on 22 September 1924 in Lelant, Cornwall, England, UK, daughter of Helen and Charles Scott, a British commander. Just before her birth her father was posted in Burma, her mother remained in England. She attended St. Clare's Polwithen and Howell's School Llandaff before going on to Miss Kerr-Sanders' Secretarial College. She began writing when she was seven, and published her first short story when she was 18. From 1943 through 1946, Pilcher served with the Women's Naval Service. On 7 December 1946, she married Graham Hope Pilcher, a war hero and jute industry executive who died in March 2009. They moved to Dundee, Scotland, where she still lives today with a dog in Perthshire. 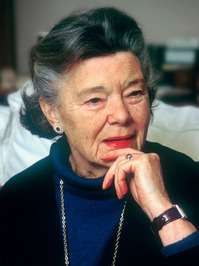 They had two daughters and two sons, an Rosamunde Scott was born on 22 September 1924 in Lelant, Cornwall, England, UK, daughter of Helen and Charles Scott, a British commander. Just before her birth her father was posted in Burma, her mother remained in England. She attended St. Clare's Polwithen and Howell's School Llandaff before going on to Miss Kerr-Sanders' Secretarial College. She began writing when she was seven, and published her first short story when she was 18. From 1943 through 1946, Pilcher served with the Women's Naval Service. On 7 December 1946, she married Graham Hope Pilcher, a war hero and jute industry executive who died in March 2009. They moved to Dundee, Scotland, where she still lives today with a dog in Perthshire. They had two daughters and two sons, and fourteen grandchildren. Her son, Robin Pilcher, is also a novelist.